Do You Want Happy, Healthy, Holy Money? Tired of Always Borrowing Money? My mother says so, and I’ve learned (the hard way) that you can’t argue with my mother. Or you experience grave consequences. What are the most important skills of my success as a writer? If I only had Writing Skills but no Relationship Skills, my success would be isolated to writing. Or it would be a short-lived success. I didn’t ask a publisher to publish my books, but even if I did—I still would have needed relationship skills. Why? A big publisher receives thousands of manuscripts from would-be authors every year. How will they pick 50 books to publish from that mountain of books? Answer: Relationship. Unless of course you’ve got exceptional writing skills. Perhaps the publisher will notice the needle in the haystack. But if all the manuscripts look the same, the publisher will do business with someone he knows. That’s the rule of sales: The customer will buy from a friend rather than from a stranger. How do you move from “stranger status” to “friend status”? Remember that as a writer, you’re not just a writer. Everyone is. And salesmen don’t sell stuff. They sell themselves first. As a writer, I took the more difficult route of building a publishing company. And making that company publish my books. That meant working with an enormous number of people. We had to hire staff (50+ now), set-up distribution channels, buy vehicles, etc. Being a non-profit organization, we don’t have much profit to show. We do sell P75M worth of books and magazines each year, but with almost zero net profits because we give it all away. Our real profit is the changed lives of our readers. Again—it was relationship skills that made it all work. Great relationships with staff. Great relationships with suppliers. And great relationships with customers. But for writers today, the world has changed. Through the internet, you don’t need a publisher anymore. You can be a one-man publisher. You can write a blog, make it popular, and build a relationship with your audience. You can give away your first Ebook for free. If it’s any good, it will spread virally. People will get to know you, email you, flag you, ping you, forward you, etcetera. And when you feel that your relationship with your readers is strong, you can start selling them an Ebook or a printed book. (How? Print it yourself or work with print-on-demand publishers). Did you notice? It’s relationship skills again—even if it’s all digital. My Mentor—who’s a Billionaire—has the most incredible relationships skills I’ve ever seen. His days are filled with lunches with the key people in his businesses: (1) partners, (2) employees, (3) suppliers, (4) regulators, and (5) customers. Oh, he has lunches with me too. I don’t fall in any of those 5 categories, but that’s just the kind of guy he is. Whenever I ask him if he’s free for lunch, his standard answer is, “I’m always free. I’m not doing anything.” Haha. He told me a fascinating story. Whenever he sees one of his customers in a restaurant, he’ll secretly pay for their bill. (He sells office furniture, so these “customers” were the guys in the purchasing department of various companies.) That was his way of thanking them for doing business with him. One day, he saw a guy who did business with him years ago. He paid for his bill. It was P2T. The guy “caught” him in the act and they started talking. He also mentioned that he had transferred to another company. Two weeks later, this guy called up my Mentor. His new company needed office furniture. My Mentor sold them P150M worth of stuff! Not bad for a P2T investment, right? Of course, my Mentor has the reputation of being the best in his industry. His products are top-of-the-line but their after-sales service is even better. His character—plus the ability to connect—made him a billionaire. Many of you aren’t increasing your wealth because you’re not increasing your relationship skills. Increase your wealth by increasing your ability to build relationships. I believe in the power of words. Words are very powerful. Today, I declare a season of increase for your 2013. I declare wisdom. I declare prosperity. I declare open doors. I declare divine appointments. I declare supernatural opportunities. Receive financial abundance into your life this coming year. I have a confession to make: The main ideas of this article above is something I wrote years ago. Every two weeks, I write a WealthStrategies newsletter exclusively sent to my TrulyRichClub members. The piece above is only 1 of those articles. Imagine receiving each of those articles this 2013. To become wealthy, I believe you need to make these simple—but very crucial—changes in your daily thinking. And in your daily actions. I want to help you make become wealthy. I want to help you make these simple changes in your life so that you can open yourself to more financial blessings. 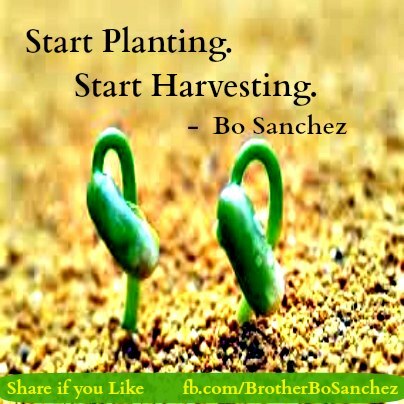 Yes Bo, Help Me Make 2013 My Breakthrough Year In My Finances!